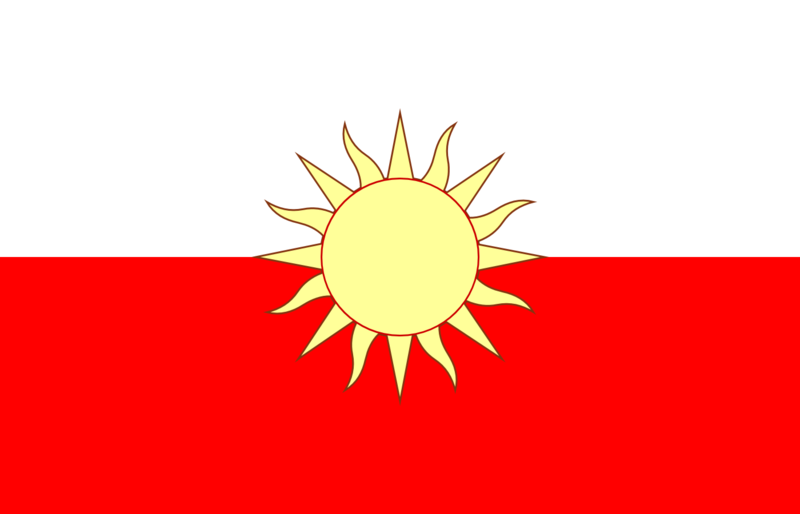 This is a recruitment post for the Republic of Poznan, a new nation within the Snowglade mountains. Poznan is a lil' project of mine that I hope others would like to partake in. As of this point, I've just been running the show by myself and I think it would be fun to get others involved! You see, seeing how nations work on this server has led me to try a slightly different approach, but one can not be a nation by themselves. So, all are welcome to come to Poznan, anyone of any walk of life! This part of the map is kinda barren, so I'm thinking we try and bring some life up here. 2. To have well defined borders between Poznani lands and unclaimed territory. This isn't to say that we have an expansionist policy, quite the opposite actually. One of elements of a country is a defined territory. This, in a way, I feel will give us a greater stance on the world stage and not just some backwater town in the vale. In order to define its as simple as putting up a marker, not just claiming (that would be horribly expensive & inefficient). We aren't traveling across the entire continent to build towns in others' backyards, our territory is strictly to the homeland. 3. Develop and hold lands, not just towns. Attempting to purchase every square foot of land will only lead to our demise. However, in an attempt to create a country, we can not ignore the, well, the country. Farms, houses, the occasional fortification, anything to make the world a bit less empty and secure more of our presence. 4. Protect the Valderkal Valley from those who would encroach on it. Some places in this world I believe should be left undisturbed and the region around Valderkal Peak is one of them. In order to protect this sacred site, we can be at least the (spoken) defenders of our Dwarven compatriots. 5. Hold a stance of neutrality and create a focus on diplomacy. Wars are expensive, losing wars more so. In order to prevent that your best bet is just to hold fast and not ever risk. However, accidents happen, mistakes can be made, and sometimes we may find ourselves in conflict. In order to promote the general wellbeing of both us and our foes, we should attempt to prevent any unnecessary military conflicts from coming to fruition. 6. Create an international banking system separate to the nations' stores. This one may be a bit of a stretch, but here me out. Losing a war can result in the fallen losing much of their nation's treasury and even storage. So, what better thing to do than make a bank/sell insurance. This needs to be researched more, it may not work entirely, but as the server's population increases, so will the amount of wars. And seeing as there are a number of people who want to carve out their own slice, we may just end up with a number of new nations in need of salvation. 7. Develop and flesh out lore, culture, and law. Got some impressive building skills? Awesome! Like writing stories/poems? Great! Have some revolutionary political ideologies that could effectively lead to the end of monarchies and duchies as we know them? Fantastic, you're in! Together we can make a vibrant society within Athera. No idea how many of these are achievable but setting some goals will hopefully keep us occupied. The Poznani are an ethnic group originating in the Central Ice Forest and Western Snowglade. As the region became increasing crowded, the people made a mass exodus across the Frozen Sea into Yukrovia, where they were incorporated into New Swabia. They fared well, even taking up positions of power. When New Swabia began expanding out into the world, the Poznani left Swabia proper and created their own settlements in the Vale and Western Yukrovia. Still apart of the empire, they began to become more detached from the native Swabians. After Swabia's involvement in the Blotheran War, many of their holdings were sold off or given up. The Poznani, on the other hand, decided that they'd try for their own independence and officially left on the 82nd day of Lakeshine, ACE. Comment on here saying that you want to or find me in game, either works. All are welcome!